Mr. Media is recorded live before a studio audience of stick-figure drawers who are blind to the difference between what they create and what artist Peter Kuper does… in the NEW new media capital of the world… St. Petersburg, Florida! 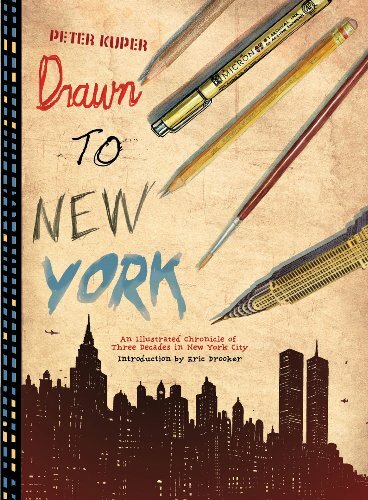 Order ‘Drawn to New York ‘ by Peter Kuper, available right now at a great price by clicking on the book cover above. Order ‘Drawn to New York: An Illustrated Chronicle of Three Decades in New York City’ by Peter Kuper, available right now at a great price by clicking on the book cover above! If you love the speed, contradictions, dangers and delights of Manhattan, you’ll find a lot to love in artist Peter Kuper’s new graphic collection, Drawn to New York. I only hesitate to call it a graphic novel, because it is so much more than a single comic story – or even stories – in book form. 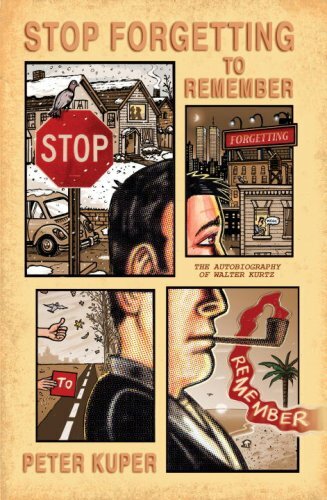 Order ‘Stop Forgetting to Remember: The Autobiography of Walter Kurtz’ by Peter Kuper, available right now at a great price by clicking on the book cover above! 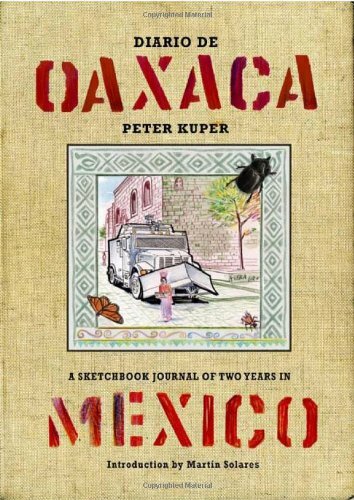 • And Kuper shows us how a little old lady came to be crossing a busy street alone late one night. There are also myriad single page illustrations and graphics that could probably be turned into a series of stand-alone posters, such as Mickey Mouse standing amidst the chaos of the city saying, “Remain Calm.” Another helpful sketch is called “Odorama: A visual guide to city smells.” Use your imagination to figure out what that’s about. This is Peter Kuper’s second visit to Mr. Media. He was actually one of the podcast’s first-ever guests, back in 2007, promoting his graphic novel, Stop Forgetting to Remember.